farm stand now closed for the season. thank you! 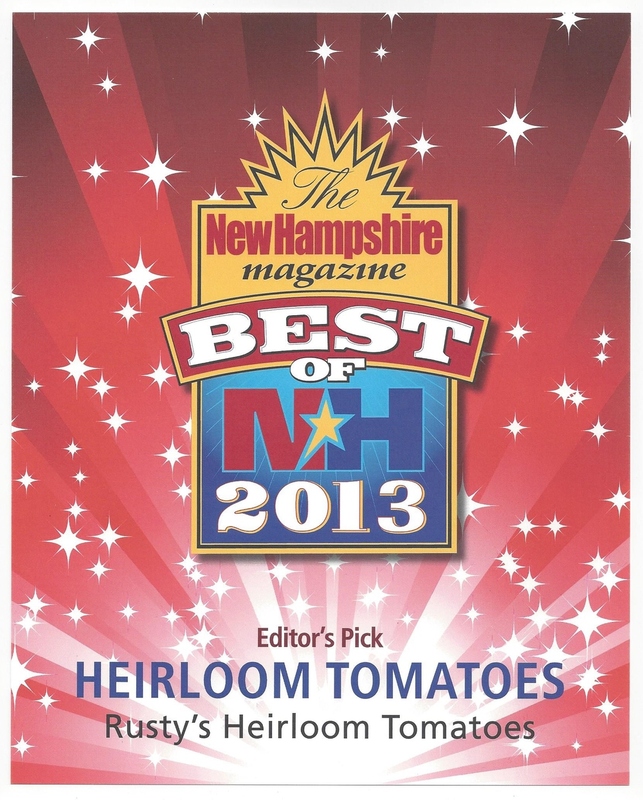 Looking for heirloom tomato sauce? Our meatless tomato sauce was prepared this garden season from only the finest heirloom paste tomatoes, and made especially for “Rusty’s Heirloom Tomatoes” by a certified commercial kitchen. Our heirloom tomatoes are field grown on our farm in Dunbarton, with seed stock originating from the US, Canada, EU & Baltic countries, Japan/Korea, Russia/Ukraine, and Africa. Please contact us for pick-up arrangements if interested in that “summer taste” all winter long. Cost: (1) - $8; (2) - $15; (3) - $ 20; (4 or more) - $ 6 each. I'm the President and CEO of Rusty’s Heirloom Tomatoes. And I'm the hardest working farm cat in the business. I offer the most luscious mouth watering great tasting and unique tomatoes you will not find anywhere else in the surrounding area. I sell 24 different heirloom tomato plants in May-June each year and later sell my outstanding tomatoes at the Concord Co-Op, my hometown Farmers Market and several restaurants in the local area and on my farm.